I had the pleasure of dining at this restaurant this past weekend with my boyfriend. I was totally pleased with the total experience. 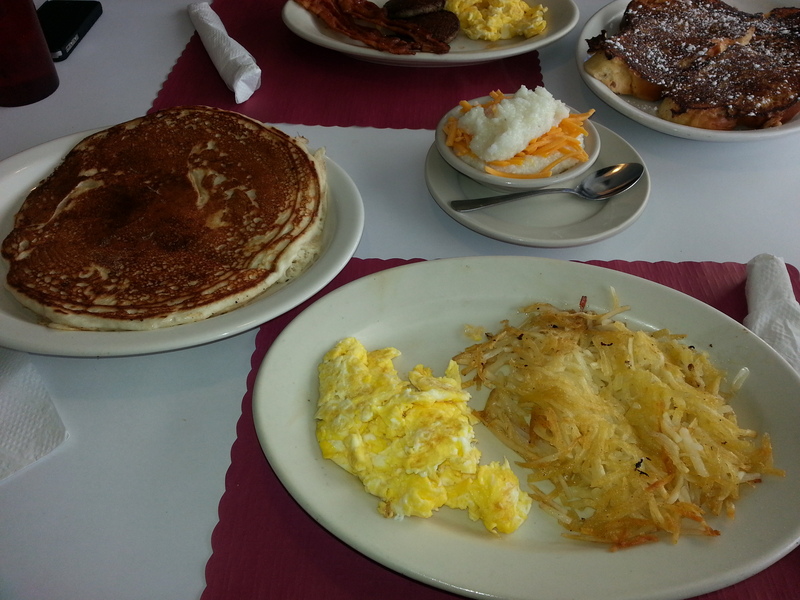 I ordered a two-egg breakfast that was accompanied by my choice of hash browns or home fries, grits or gravy, and either a biscuit or toast. I chose hash browns, grits, and a biscuit. I was feeling pretty hungry, so I ordered a single pancake as well. The food was cooked to order, and made right in front of us. They have a setup very similar to the Waffle House. Although I had to add salt and pepper to my meal, it was still pretty good. It was definitely like having a home cooked meal. I am very specific when ordering, and everything came out perfectly. The serving sizes were good. The pancake was the size of the plate, and was light and fluffy. It was delicious! I drank coffee, and had no complaints there either. The service was awesome. We were greeted as soon as we came in. The cooks and cashier were very nice and helpful. They cracked a few jokes, and made the dining experience excellent. We didn’t have to wait long for our orders to be taken or to receive our food. We were often checked on, and our glasses remained full. 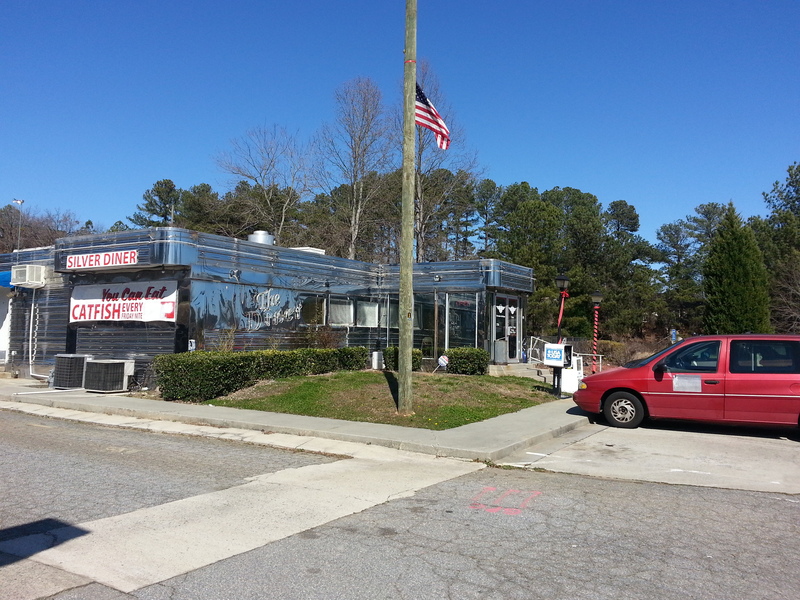 The restaurant is set up like a typical diner with booths, tables and counter seats. The seating is limited. I like diners because they always seem to have a comfortable and inviting setting. This diner was no different. Overall, I enjoyed my experience. 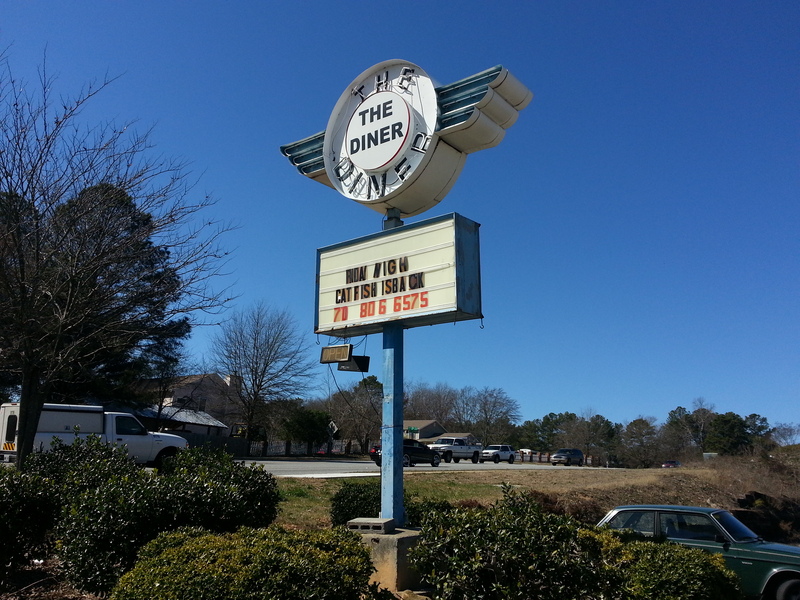 The food was good, the service was great, and I loved the diner atmosphere. Not to mention, the prices were just right. I would most certainly recommend this restaurant. Don’t let the name of this restaurant fool you because it definitely fooled me. While there were a few Hispanic inspired dishes on the menu, the menu was mostly composed of American grill food items. I wasn’t really disappointed because at that point, I was starving. So, anything would have been fine. This restaurant is set up like a typical bar and grill. There are a ton of TVs and high-top tables. We were sat almost immediately upon arriving. Our server was very good. He was attentive, had suggestions, and checked on us quite often. He seemed genuinely willing to serve us. 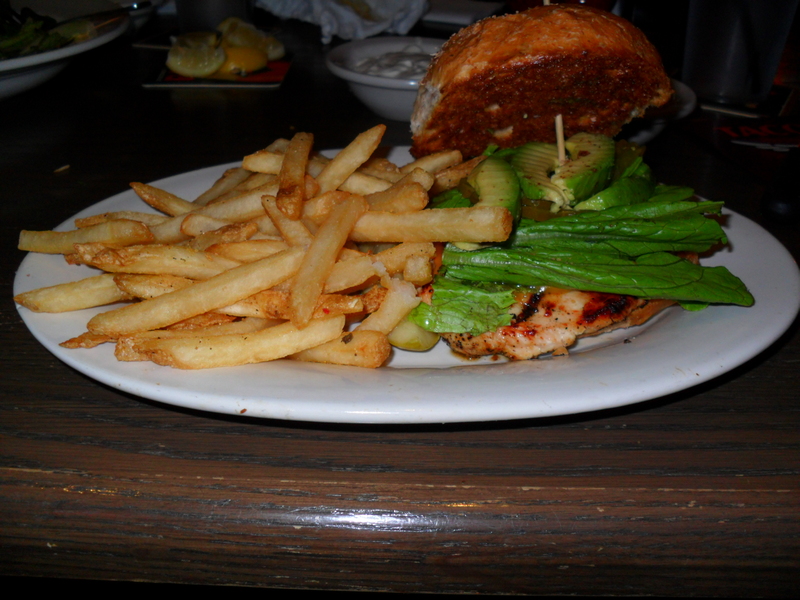 I ordered the Rocky Mountain Chicken Sandwich and fries. I also ordered a side salad. The salad was very filling alone. It was fresh, and had all the toppings I needed. The fries were good, and so was the chicken sandwich. It came with a special sauce, rocky sauce, which was pretty tasty. I believe the sauce was a mixture of BBQ and honey mustard sauce. An added bonus was that unlike some restaurants, they weren’t stingy with the avocado. So, that made me happy. I will say this though, the food was good, but it wasn’t outstanding. I would recommend dining in here. The atmosphere is fun, the service is great, and the food is decently priced. This has been one of the best hotels I’ve ever stayed at. From the moment we walked in to the moment we left, the hospitality levels were on high. I read a lot of reviews on this hotel, and I don’t remember coming across any negative ones. That factor along distance and pricing were the main reasons why I choose this hotel. I can say that I was quite happy with my decision. The room was setup up exactly like the pictures I saw online. The room was clean and the linens were too. The bed was comfortable, and the pillows were perfect. I slept quite peacefully. The 2 Queen bed room was pretty spacious, with an in-room refrigerator, desk, desk chair and lounge chair. The only amenity this room lacked was a microwave, which had to be requested. The bathroom was nice and clean. 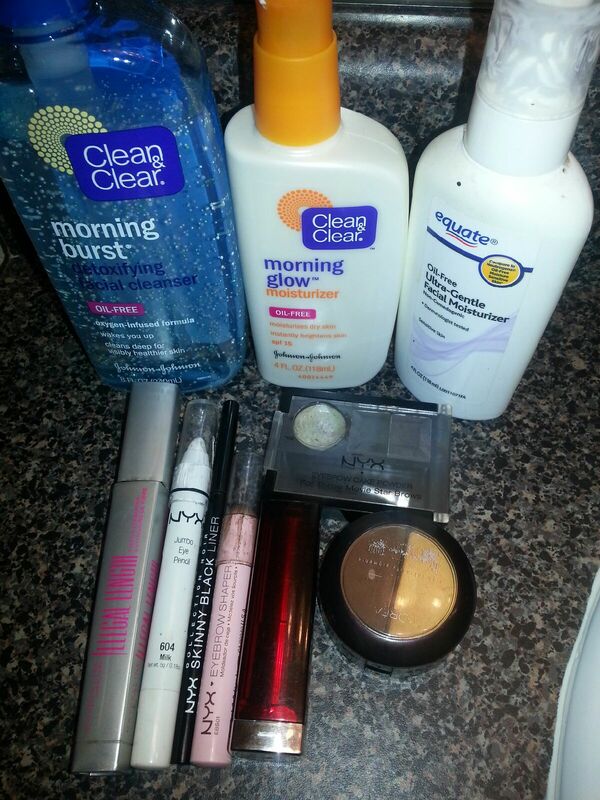 There was a ton of counter space, which is something that I really need. The shower/tub combo was clean, and the water got really hot. The hotel offered a complimentary breakfast. It included a few hot items, cereal, bagels, danishes, coffee, waffles, and juice. Although the food was mediocre, it helped that we didn’t have to look for a place to eat breakfast. Instead we ate at the hotel, and started our day as soon as we pulled out the parking lot. The hotel was located in close proximity to every attraction we wanted to visit. The longest distance traveled was to Six Flags, which was approximately 30 minutes away. That was definitely a very important factor in choosing this hotel, especially since we wanted to participate in Atlanta’s night life. When returning late, although the parking lot was full, we still managed to find parking in a lighted area. This was important, especially being a female. The hospitality shown by the hotel personnel was amazing. Everyone was smiling, and willing to help in any manner. They answered any and all questions we had. The personnel would often make suggestions for places to dine, and visit to enhance our experience. 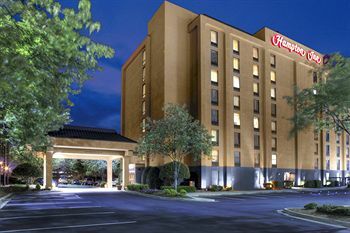 With that said, I would recommend this hotel to all those traveling to Atlanta. It’s accommodating to families, extended stays and business trips.